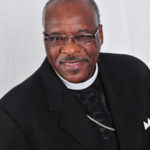 Pastor Larry R. Whitfield, Sr. was born in the small town of Everetts, North Carolina, but this was not his final destiny. As an adolescent he moved to Philadelphia, PA where he first began to work in ministry. 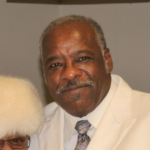 After graduating from Philadelphia public schools he continued his education future. He attended Temple University and graduate from Philadelphia Technical. Many years later along with his family, he developed an Information Technology and Architecture Engineering Firm. As a saved businessman, many doors, both professional and spiritually, has been opened. Continuing to develop future projects, Pastor is ready to help make a difference in communities across the world. His desire is to help rehabilitate, strengthen, and educate the man so the man can better serve the Lord, families and communities. Along with the queen of his life, First Lady Shirley J. Whitfield, together they have been blessed with two sons, two daughters-in-laws, one daughter and five grandchildren. 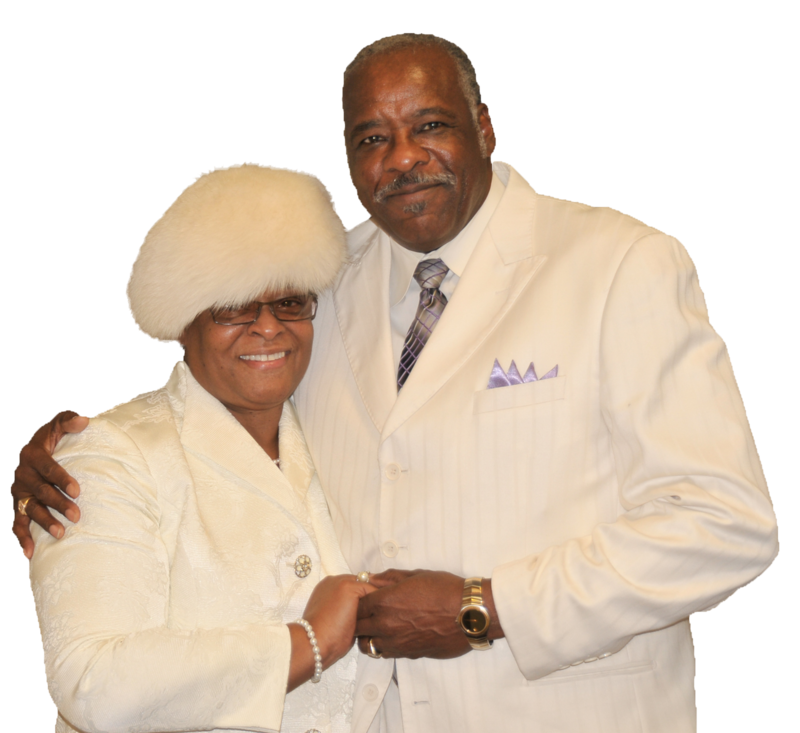 Pastor and First Lady are determined to live a saved married life before God and His people. 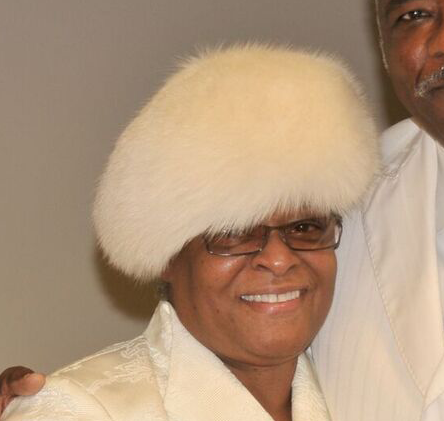 They have been married for 40 years and give all glory to God. Their mission is to teach and encourage couples of all ages the importance of marriage and the ministry behind it. Being filled with the gift of the Holy Ghost in March 1981, Pastor Whitfield worked in the church for ten years before he was called to preach the Gospel of Jesus Christ in 1991. 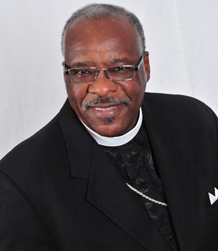 Sitting under the tutelage of Bishop Leroy H. Cannady, Sr. (Pastor of Refuge Way of the Cross Church and the Presiding Prelate of the Way of the Cross Church International) afforded him the opportunity to develop into the blessed preacher and teacher of today. Working with the development of men, women and youth he was able to focus on their spiritual needs as well as their natural needs. Working in various organizations throughout the years has allowed Pastor to understand the need of people and where they need to be in their spiritual journeys. 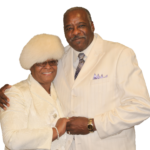 Pastor Whitfield has a remarkable gift of preaching the true word of salvation. He understands the needs of man to prosper in the Lord. Understanding God’s plan for His people, Pastor has made it his mission to reach souls and spread the Gospel of Jesus Christ and prepare them for his return. Pastor is exercising God’s word “…Go out unto the highways and hedges, and compel them to come in, that my house may filled” Luke 14:23. Pastor has ventured into several parts of Africa in efforts to spread God’s word. Working in Lagos Nigeria within the villages, he was instrumental in building two water wells for the people and establishing local churches. His goal was to provide water for the body and food for their souls. His greatest experience was the witness of souls receiving the gift of the Holy Ghost. Being a teacher, a mentor, a leader and most importantly a man of God, Pastor Whitfield always stands ready to hear a word from the Lord that will bless His people.